Hey, all! I received some amazing journals in the mail a few days ago and I am so excited to share them with you! Even though I have a smart phone, I still prefer to write things down. Everything! I just cant get into the habit of opening up notes on my phone and start typing. I so prefer to have pen and paper handy. That's why, when I got contacted to review Ellie Claire's journals, I was so excited! Illuminate Your Story- which is full of illuminated letters and how to create them. These is also a keepsakes folder in the back of the journal. It also has a place to put a pen/pencil on the outside binding. 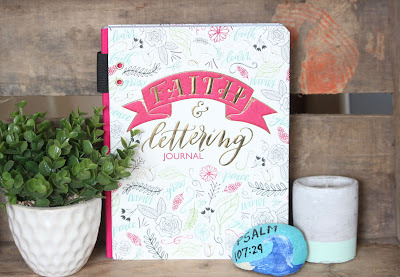 Faith & Lettering- This journal is very bright and colorful. This specific journal was designed so you can practice prompts and to grow your lettering skills. 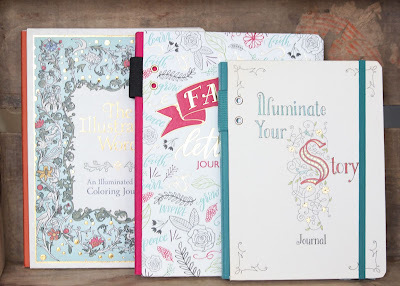 It's full of pages to write, doodle and to practice your lettering. This journal also has a loop on the outside binding to hold a pen/pencil. The Illustrated Word- An illuminated coloring journal that has lined pages as well as pages to color. It also contains quotes and sayings. Ellie Claire's Art Journals are unlike any other journal that I have owned before. Her journals are full of beautiful art! They also contain quotes, which I absolutely love! Each quote is an inspiring quote that keeps me going. One of my favorites in the Faith & Lettering Journal is, "The shortest pencil is longer than the longest memory." I plan on using these journals for myself. Mainly to write down things that I don't want to forget. Things like events or activities that I enjoyed with my kiddos. 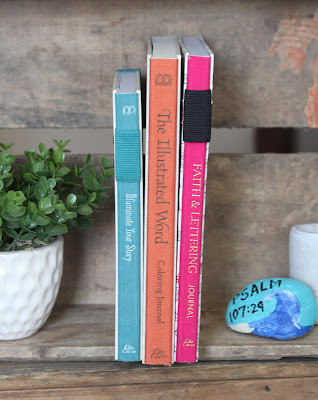 Each journal is made with high quality paper that is both thick and sturdy. My favorite out of the 3 is the Faith & Lettering journal. I was excited about this journal because I have been wanting to try out lettering. This journal allows me to do just that. I also love it because its bright and colorful and it has the best quotes in it! Gift these journals for Christmas! They make great gifts!